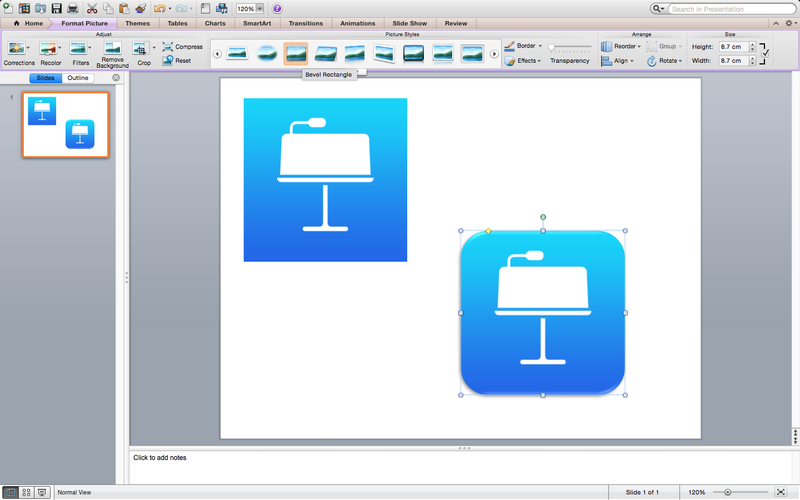 UPDATED – How to get great looking iOS and OS X app icons for presentations. Some may call it OCD or just very picky but one of my pet hates is seeing app icons on presentations that are either not stretched and misshaped or highly pixelated. The solution to great looking apps is as follows. There are a number of different ways to achieve awesome looking app icons. A while ago I found a Mac Application on the Web that finds the High Resolution app icons from the App Store and saves them as a .png file on your desktop. The application I use is iTunesIcon V2.1 . After you have found the right icon you need, you need to make some slight adjustments to make it look just like the icons on the App Store and your device. This can be achieved in Keynote, PowerPoint or Adobe Photoshop or Illustrator. I use Keynote as these are quick and easy. Insert the shape which resembles the App icon (Squircle) . Format the shape and fill with the icon .png file that was found using iTunesIcon. You can drag and drop the .png file into the Style window or located using the Choose option. Once you have filled the shape with the icon make sure you scale to fit. You may wish to add some other effects such as shadows and reflections at this stage. 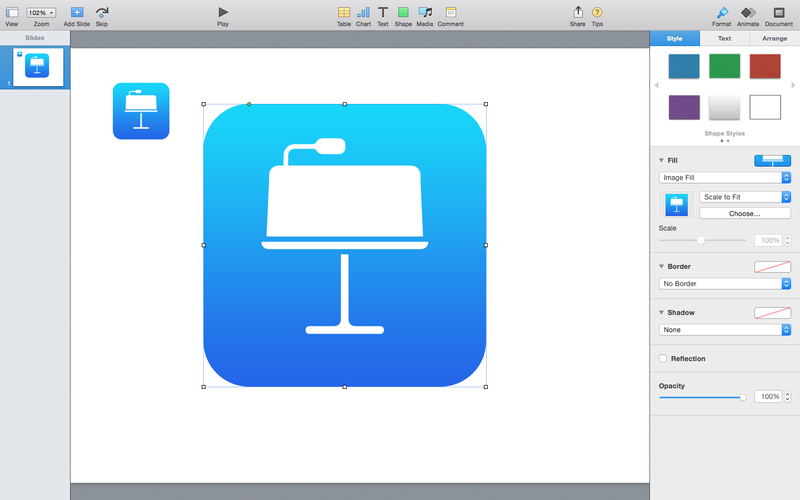 Download the Keynote here to simply drag and drop your App Icon image into the fill. This is really simple, drag and drop the .png file onto a slide and format the image using the Bevel Rectangle setting. You may wish to use Adobe Illustrator or Photoshop however I find this method a lot quicker and easier. If iTunesIcon fails to find the right image, return to the App store and copy the whole title of app and paste into iTunesIcon. Failing that use Google to locate a large image of high resolution. You can also get High Res icons of Mac Apps that are installed on your Mac. Unfortunately I have not yet found a way to download any Mac App icon like the one described for the iOS Apps above. To download High Res icon images on your Mac, follow the steps below.